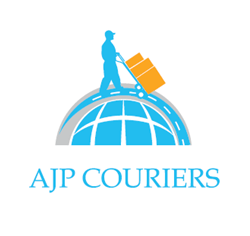 We are now pleased to provide our same day and next day courier services in Oswestry and the surrounding areas, from our base just down the road on the outskirts of Wrexham. Situated less than 10 miles or 20 minutes drive south of our Wrexham base, we are ready and waiting to collect your urgent goods within the hour, and deliver them directly! Whether you’re a smaller niche business based in the town centre, or a large manufacturing business based on Maesbury Road Industrial Estate on the edge of town, we treat our all of our customers with the upmost professionalism and integrity, regardless of size or regularity of work. We specialise in and offer logistical solutions for urgent, time-sensitive, high value, fragile, delicate, oversized, heavy, awkward and difficult to handle consignments. Whether it is a pallet of materials that needs delivering to a customer of yours, or a delicate item that needs handling with care when being transported, we’ve got you covered! Wherever you may be in the Oswestry area, one of our team of committed and punctual drivers can be with you within an hour of booking and deliver directly to the destination(s) of your choice. As well as our ‘Express Same Day’ service, we offer more flexible same day and next day services for less time critical consignments. Call our Wrexham office NOW on 01978 800192 and we will promptly dispatch a vehicle to collect your goods in less than an HOUR! Oswestry is a market town that dates back to the Iron Age, with evidence suggesting it was formed sometime between 800 BC and AD 43. During the Saxon era, the Battle of Maserfield is thought to have been fought in Oswestry in 642, between the Anglo-Saxon kings Penda of Mercia and Oswald of Northumbria. The Oswald of Northumbria was killed in this battle and according to legend, one of his arms was carried to an ash tree by a raven, and miracles were subsequently attributed to the tree, as Oswald was considered a saint. This being the reason why it is believed that the name of the site is derived from a reference to “Oswald’s Tree”. Modern day Oswestry is still indeed a market town and there has been a concerted effort to protect the heritage of the town, with many buildings being subject to careful conservation. This can be seen in the town centre with many buildings still displaying similar aesthetics to those prevalent in the Victorian era. Oswestry has a varied economic base now, with the three largest sectors being retail, education and manufacturing. Being situated next to the A5, A483 and A495 provide Oswestry with great links to both North and South Wales, as well as the Midlands and beyond. The town’s main sports club is The New Saints F.C. ; a professional football club that play in the Welsh Premier League. They are one of only a few English teams to play in the Welsh Leagues, and have enjoyed much success in the Welsh Premier League winning it an incredible 11 times, with the last 7 of those coming consecutively between 2009 and 2017.